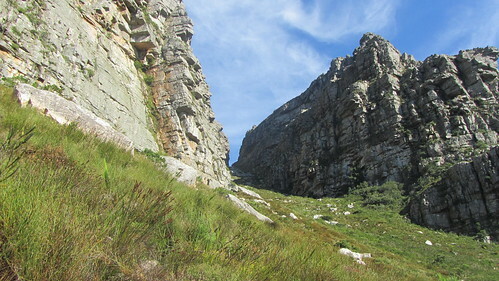 Platteklip Gorge – the classic route to the top of Table Mountain. 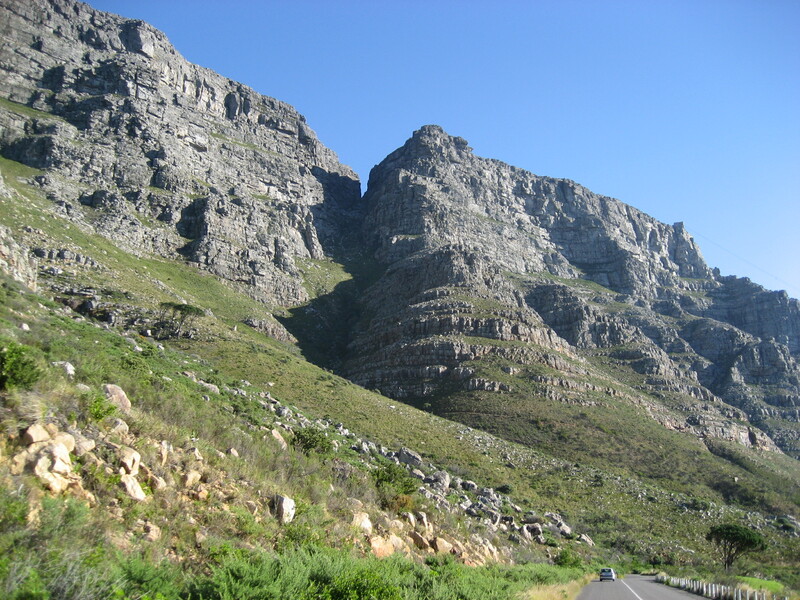 Platteklip Gorge is certainly the most popular hiking route to the top of Table Mountain – sometimes known as the ‘N1’ highway to the top. 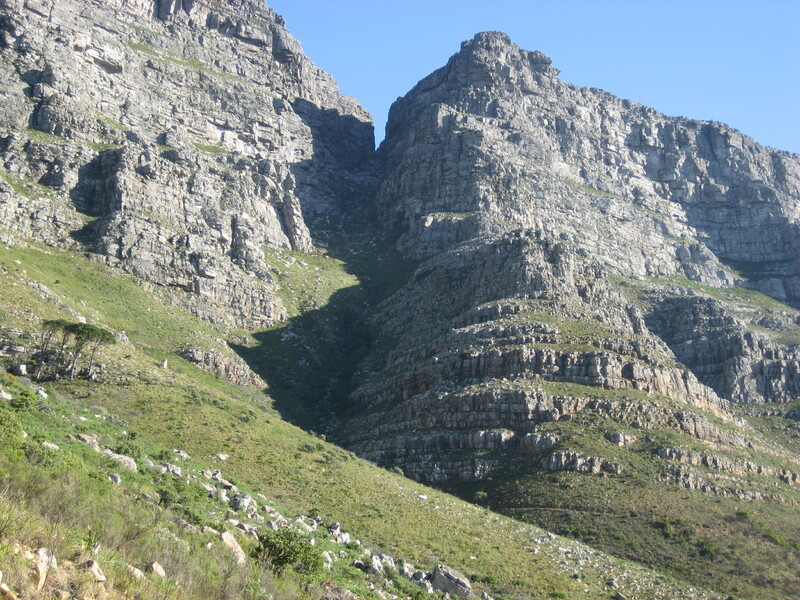 The term Platteklip means ‘flat rock’ and is named for the smooth flat rocks that are found in the lower part of the gorge. It is also thought that there was one particular area of flat rock further down the Gorge where in times gone by slaves and servants used to come to do washing for their masters and employers. The reason for its popularity is not hard to understand – it is the most obvious and clear way up the mountain, with a path that is very easy to follow. 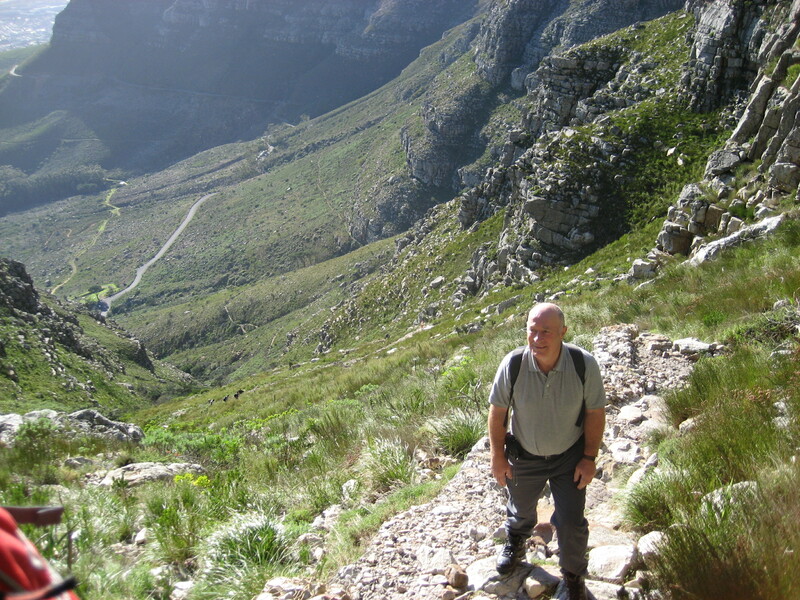 On a busy day you’re likely to meet a wide range of people, from local families and youth groups on a day outing, to international tourists, determined to be able to say ‘I climbed Table Mountain!’. There are local fitness fanatics who treat the route as a running track to the top, as well as those who plod up slowly, stopping often to admire the views. It is not unusual to hear as many as ten different languages on your way up or down. You’re also likely to interact with the full spectrum of colourful South Africans. Perhaps the ‘social highway’ to the top would be a better description. People are friendly and ready to greet – they offer encouragement, curse the steepness of ascent on their way up and cheerfully tell you how far to the top on their way down. Although the path is clear, the climb is steep. There is no getting away from the fact that you have to get from 350 metres above sea level (on Tafelberg Rd.) to 1 020 metres at the top – a climb of just less than 700 metres, from the start, to the cairn at the top – your indication that you have made it. On a hot day it may seem longer and steeper (temperatures can get up over 35 degrees C in Cape Town), on a cold and misty day it may be damp and slippery. It is also true that what can start out as a fine warm day can turn into a cold and rainy day very quickly – and the other way around. Cape Town weather is unpredictable and the weather on the mountain even more so. The route is also not all easy going, with some rough and rocky sections where you will need to watch your footing. You should have good walking shoes or boots and a hiking pole helps. Start early, particularly in hot weather. Take plenty of water, sun block and a hat. The temperature is always a few degrees colder at the top, so take a warm jacket with you in a day pack, together with your water, food and a few energy snacks for the route. Don’t go in wet weather unless you are with an experienced group or a guide who knows the mountain – even clear paths can be dangerous in these conditions. Many people take this route because you can walk up and take a cable car ride down. A word of caution – weather conditions can change quickly and may stop the cable car from running: you could have to walk down again. Wind conditions at the top are not always the same as those at the bottom – check weather conditions before you go. Light rain or mist will not normally stop the cable car operation but windy or very wet conditions will. 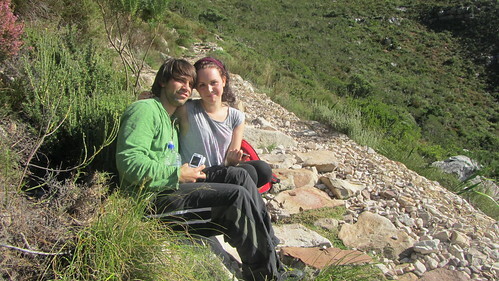 If you are not sure, arrange for a mountain guide to accompany you. A guide can also add interest to your walk; history, people, stories, geological features, local flora and much, much more.